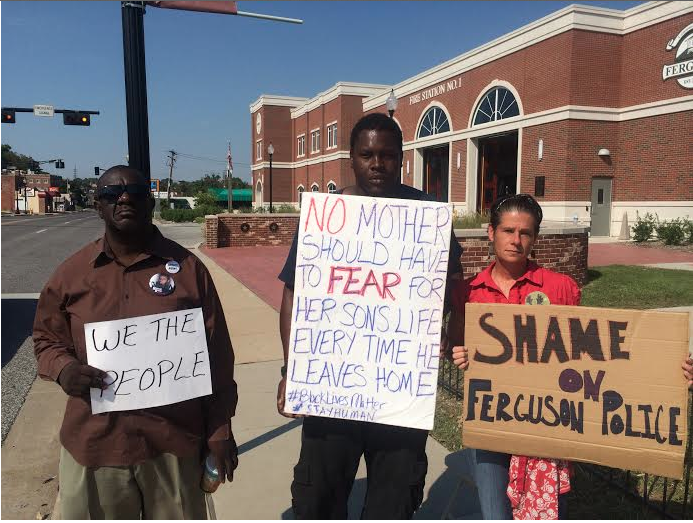 The pain of Ferguson in just one (or is it two?) picture(s), and why it means something to each and every one of us. To be sure we’re on the same page, the first photo has been doctored. The second photo is the original. The first photo is based on the hope that people stay the same. The second photo is hoping that people can change. The first photo is meant to prove a point. The second photo is meant to prove a point. The first photo is meant to elicit action. The second photo is meant to elicit action. The first photo is evidence of a deep-seated fear. The second photo is evidence of a deep-seated fear. The first photo, as you can see from the screen shot, came from Facebook. It’s been circulating rather heavily on my newsfeed. As you can see from the screenshot, people are all too happy to share it. If you look it up and begin to scroll through the comments, you’ll find that only occasionally does someone point out that it’s a fake. Sadly, the original poster goes so far as to disqualify even those few claims. Let me make this point perfectly clear: it’s a fear that each and every one of us shares as some point in our lives simply because we are human. It is a fear of something or someone that is different from us. What compounds this fear is the systemic abuse of power that has gone on for so long in this country, and the fear that maybe the “race issue” still hasn’t been solved. But for this conversation to really move forward, for both sides to really start healing, we need to be talking about fear, not just race. Racism, as prevalent as it still is today, is the symptom, not the illness. Granted, as anyone who practices medicine would know, sometimes you have to treat the symptom in order to better treat the illness. I’m not saying we should ignore the racism that is going on. To do that would be to enable the denial that has allowed it to perpetuate thus far. But what I’m talking about is the conversation and the healing that could happen beyond this. The real healing that can happen among adults to make a better place for our children to grow up. And that healing can start when we all admit this nasty little secret of ours. That we are all afraid. Some are afraid that they will be found out that they are in fact prejudiced and that they enjoy the power they hold over others. This is the case for both sides, because even victims can victimize others. Some are afraid for their lives, or their children’s lives. Some are afraid that they will loose the only world they’ve known. But if there is to be healing, can we talk about the vulnerability of fear that we all share, not the anger that we’re using to hide it? Here in Atlanta, what has been my home for my whole life, I know about the issues of prejudice that have made up this city. As much as I love this city, the prejudice is there and it hurts. It effects all of us. But what frustrates me more than anything is when people try to address the prejudice that is so deep-seated here by claiming that it is only a black and white issue. Again, it’s trying to focus on a single symptom, not the real illness underneath. To focus on only one symptom, as prevalent as it may be, it allows the abuse of other prejudices to go unhindered. 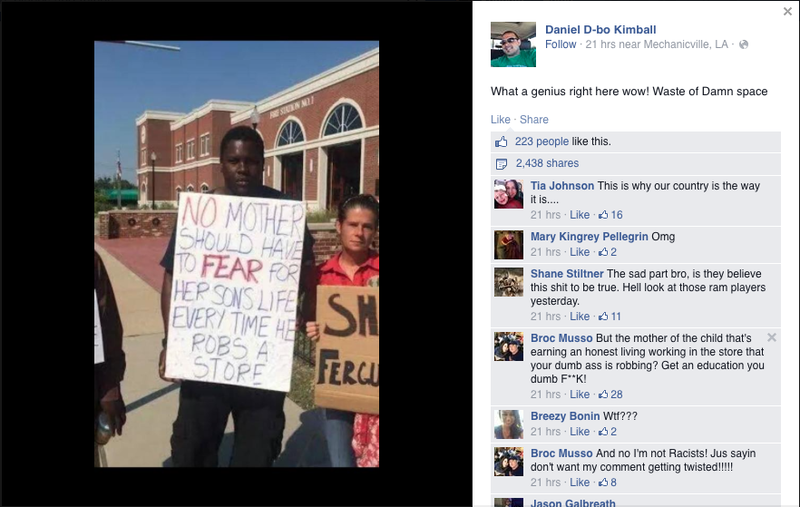 For instance, here in Atlanta, many people want to highlight how African Americans have been victimized for so long. This is true, and a sad fact it is. In no way am I dismissing the generations worth of pain that Black Atlantans have had to endure. My heart continues to break for the inhuman treatment they still have to endure. Just take a walk through Peoplestown to see it. But when we focus on only one group of people as victims, we do so at the cost of ignoring all the others. Atlanta has a long history of prejudice that goes beyond the black/white issue. If we’re going to focus just on the symptoms of prejudice, then let’s talk about the Jewish communities that have been persecuted in this city. Or what about the anti-Catholic sentiments that run through our city’s history? What about the recent exclusion of Muslims we see in the greater Metro area? Or what of the prejudice and violence committed against the LGBTQ community, a violence committed by all races in this city? What of the new ghettos we are forming in Atlanta to segregate the Latino populations, or the ever growing number of East Asian and Indian immigrants? What about the African and African Caribbean immigrants that are not welcomed by the African American communities in our city? What about the divides that have little to do with race, but more to do with class and economic distinctions? What about the prejudice committed on the grounds of illness or disability? This list of symptoms can go on and on and on…. It’s exhausting trying to address each and everyone one of them separately. But maybe we don’t have to go after every individual head of this ugly hydra. Maybe we can start addressing the illness, not just the symptoms. Maybe we can talk about the underlying fear that we all share as human beings, rather than focusing only on the violence that has been a product of it. I think we can do it. I think we can have honest conversations about this ugly little secret that we all share. I think we can each admit our own vulnerability, rather than pointing out someone else’s. We can claim our own fear rather than letting others fear monger for the sake of their own publicity. And then we can start the next step of the healing process: grief. For some of us, we will have to grieve the shameful violence we’ve committed or allowed others to commit on our behalf. For others, we can grieve the violence we’ve suffered at the hands of others. For all of us, we can grieve the chances of a better future that we’ve lost so far. But after we grieve, after we share these pains and tears, we can start to move on and make that better future a reality. Doubtless it’s a future that most of us will never see. But should we be so selfish as to ignore the hard work we can do now for the sake of others that will come after us?